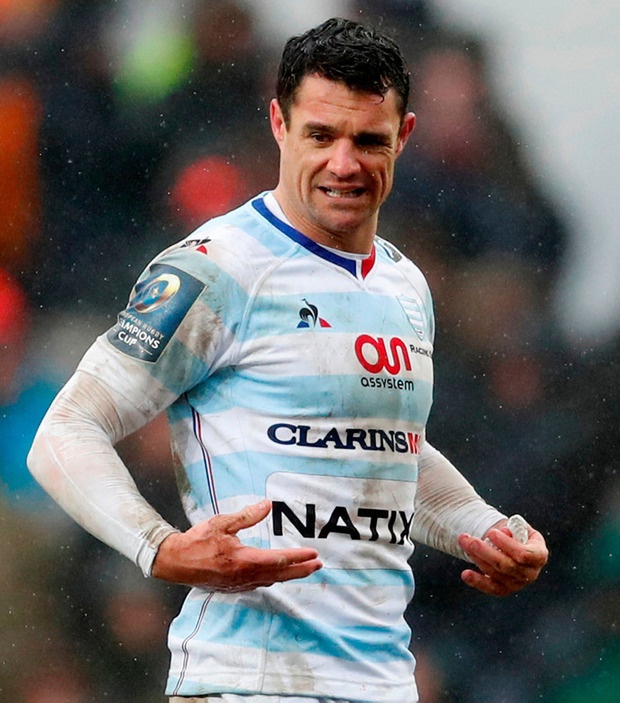 He is looking to finish his career in Europe on a high, but Racing 92 out-half Dan Carter believes that Leinster are justified favourites going into Saturday's Champions Cup final in Bilbao. The All Blacks legend moves to Japan at the end of this season and wants a European Cup medal to complete his set after a glittering career at club and international level. Thus far, the trophy has eluded him during his stints with Perpignan and Racing and Saturday's clash is his last chance against the strongly-fancied Irish province. "I've been quite lucky to have a career where I've been fortunate to play in good teams with the Crusaders and the All Blacks and I've managed to pick up a couple of trophies along the way, but I haven't had any luck with the European championship," he told RTÉ. "We got close a couple of years ago, but we were beaten by a much better team in Saracens. "With me knowing my plans for next season, this is my last opportunity so I'm hugely excited about the challenge ahead up against the form club side in Europe, a very, very strong Leinster side. "It's going to be tough. It's not about me winning it for my career, it's more about doing it for the club. "The club has never won this before, it took me two final losses in Super Rugby before I won it so this time it's my last opportunity. "The reason I came to play in France was to play in the Champions Cup, so to now think it's my last season at Racing and we're in a final; it's hugely exciting. We're going to Bilbao to try and upset a strong Leinster side. "The final will be another step up, this year you can see the consistency that Leinster have produced right through the championship; it's hard to fault anything about them. I've huge respect for their team."